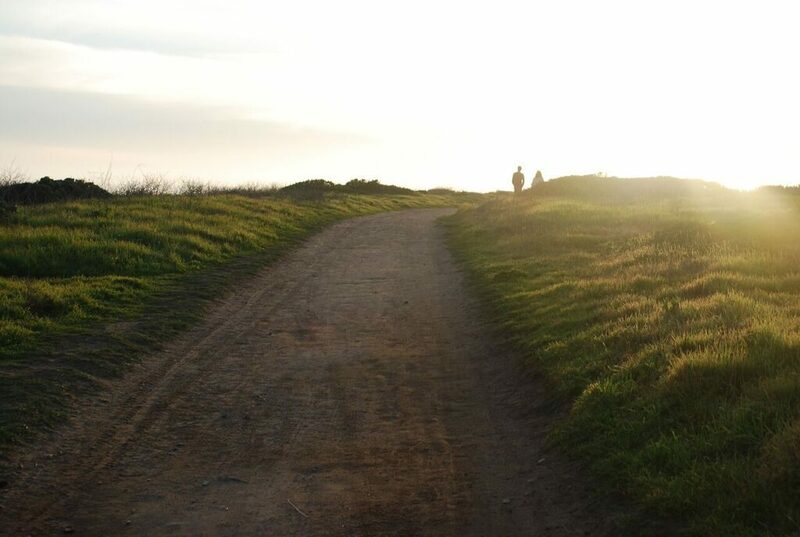 Wilder Ranch State Park covers approximately 7,000 acres, with 34 miles of hiking, biking and equestrian trails winding through coastal terraces and valleys. Several buildings once belonging to the Wilder family have been restored. Explore the history of early ranchers and farmers along the Central Coast through tours and living history demonstrations. 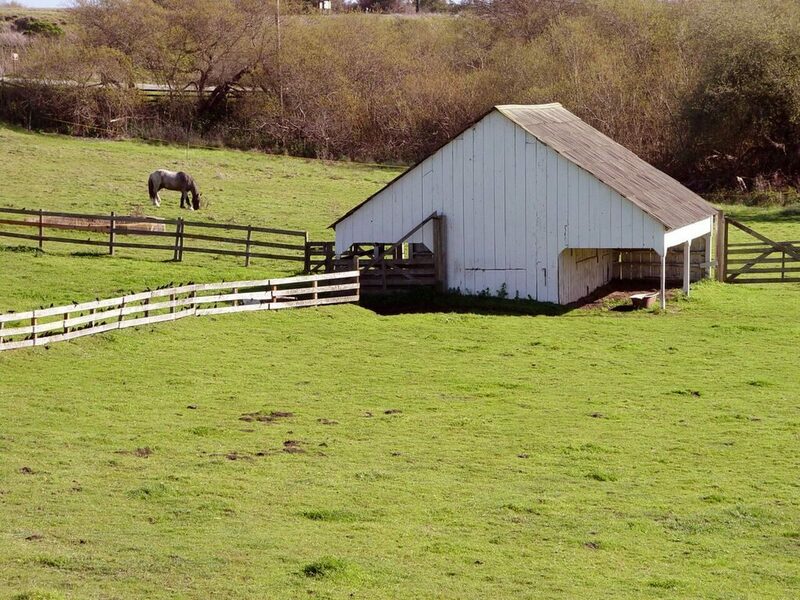 The site was originally the main rancho supplying Santa Cruz Mission, and later became a successful and innovative dairy ranch. The grounds include Victorian homes, barns, shops, gardens and a historic adobe. Major wetlands restoration projects have attracted some of the original flora and fauna back to the area. Learn more in the California State Parks brochure: English | Spanish. From Santa Cruz, go north on Highway 1 about 2 miles past Western Drive and turn left. By Bus: Take Santa Cruz METRO route 20 or 69A. A 35-mile network of multi-use trails crosses the park. Bicycles, please obey 15 mph speed limit; stop when approaching a horseback rider; walk bicycles through ranch complex and be respectful of hikers. The Cultural Preserve area — a rodeo arena, ranch buildings, and three restored workshops run by water power — has early farm implements and tools. Docents at Wilder Ranch often dress in period clothing for interpretive tours and living history demonstrations. Check the calendar for program topics and times. 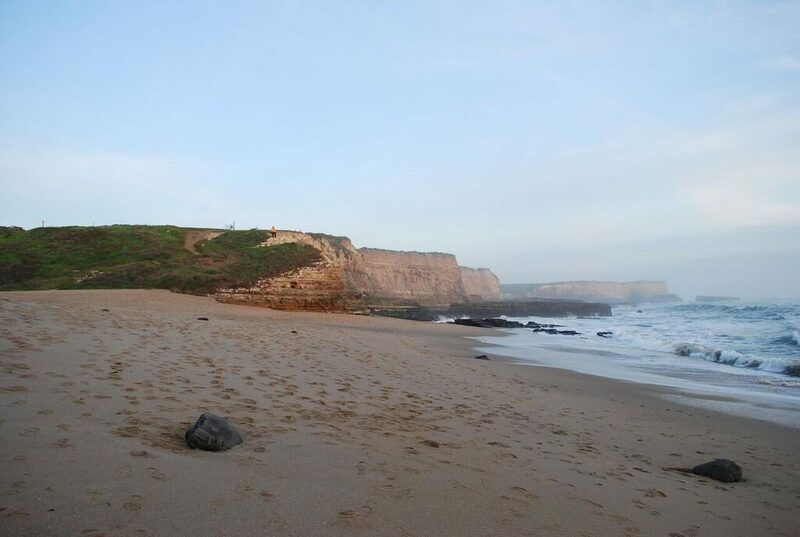 Wilder Ranch has several pocket beaches, some of which are popular surf breaks. Hours: 10 a.m. to 4 p.m. Thursday to Sunday. The Visitor Center has displays on the cultural and natural history of the park, plus a resource center where the visitor can get more in-depth information. A stunning mural by Marin VanDuyn covers the walls of the main room. Hours: 10 a.m to 4 p.m. Thursday through Sunday. At Wilder Ranch, find a unique shopping experience within the park’s Visitor Center. 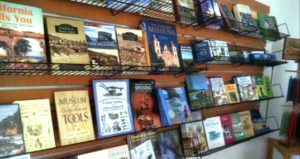 The Wilder Ranch ParkStore sells an assortment of farm-related merchandise, as well as historical toys and books that celebrate the park’s history as a Victorian-era dairy farm. It also carries field guides and merchandise related to the incredible diversity of wildlife a visitor might see while hiking and biking in the park, including birds, mountain lions, bobcats, sea life and wildflowers. The store offers a variety of apparel and souvenirs featuring Michael Schwab’s iconic Wilder Ranch image. Parking is $10 and supports the park. Annual State Parks passes also are available to purchase at the entrance kiosk. Accessibility: The cultural preserve and the Old Cove Landing Trail are ADA-accessible. Call the Interpretive Center at 831-426-0505 for current information on tour accessibility and parking, or learn more in the Hilltromper Wheelchair-Friendly Trails Guide. There are six first-come, first-served sites for visitors with horses. For access to the horse camp, call 831-423-9703. There is no other camping offered at the park. Ranch Kids Days, a weekday program, provides children on school field trips with a local history experience guided by volunteer docents. Learn about additional field trip options and sign up! For group, non-school tours, please complete this form. Volunteers give heart and soul to the “Life on the Ranch” and other activities that make Wilder Ranch State Park such a fun, interesting, hands-on place to visit. Volunteer docents help with school group programs, present living history demonstrations, put on events like the annual Harvest Festival, help care for farm animals, lead hikes and building tours and host the visitor center. Wilder Ranch is especially seeking volunteers to help on weekdays with its “Ranch Kids Day” program, where school-children experience local history as they visit a host of hands-on stations led by docents. Native Ohlone people made the region their homeland for millennia, and evidence shows they had villages at Wilder Ranch. From 1791 to 1835 the site was the main rancho supplying Mission Santa Cruz. In the 1830s the land, known as Rancho del Refugio, was granted to three daughters of Joaquin Castro, including Maria Candida Castro and her husband Jose Antonio Bolcoff, a Russian sailor who jumped ship to become a naturalized Mexican citizen. Bolcoff built two adobes (one of which remains today). In 1854 Moses Meder acquired a large portion of the rancho, constructing a home, which is now the front portion of the old farmhouse known as the Meder House. He expanded dairy and farming, building a creamery, dairy barn and other buildings. In 1871 Levi K. Baldwin and Deloss D. Wilder purchased 4,160 acres of the former rancho and built a new creamery. Their partnership lasted until 1885 when the Wilder family obtained the lower lands on Meder Creek. The Wilder Family worked the land for five generations and nearly a century, building the Victorian farm house in 1897 and employing such innovations as harnessing water power to drive their equipment and the first electric lighting system in the county. The Wilder Family ran the ranch until 1969 when property taxes exceeded farm income. In the 1970s, the land was proposed for a development of up to 10,000 homes. Local residents formed Operation Wilder to oppose the plan and county citizens voted to protect the open space. After continued advocacy, the State allocated $6 million for the property and in 1974 State Parks acquired the land. Learn more about how the park was created. 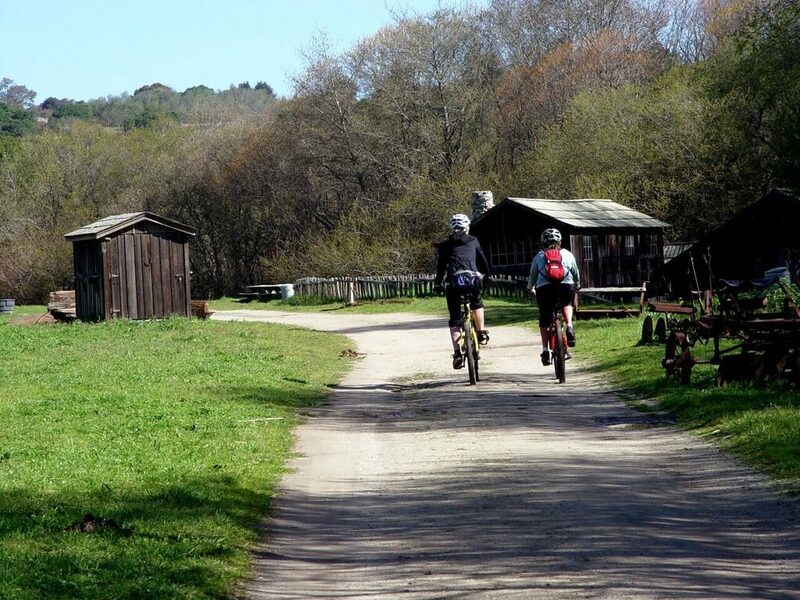 Today Wilder Ranch State Park covers approximately 7,000 acres, with 34 miles of hiking, biking and equestrian trails. Major wetland restoration projects have attracted some of the original flora and fauna back to the area. In the cultural complex, visitors can explore Victorian homes, barns, shops, gardens, the historic Bolcoff adobe, and discover the history of early ranchers and farmers through tours, living history demonstrations and special events. Fires and smoking are not permitted on any trail. All natural and cultural park features are protected by law. Do not remove or harm plants, animals or other features of the park. Bicycles, please obey 15 mph speed limit; stop when approaching a horseback rider; walk bicycles through ranch complex and be respectful of hikers. Dogs are not allowed in the park.